The first camera which supports mobile ADR - Adaptive Dynamic Range, Lightsynth lets you have done with all kinds of exposure trouble under various tricky lighting situations such as daylight skies, backlit, or low-light. 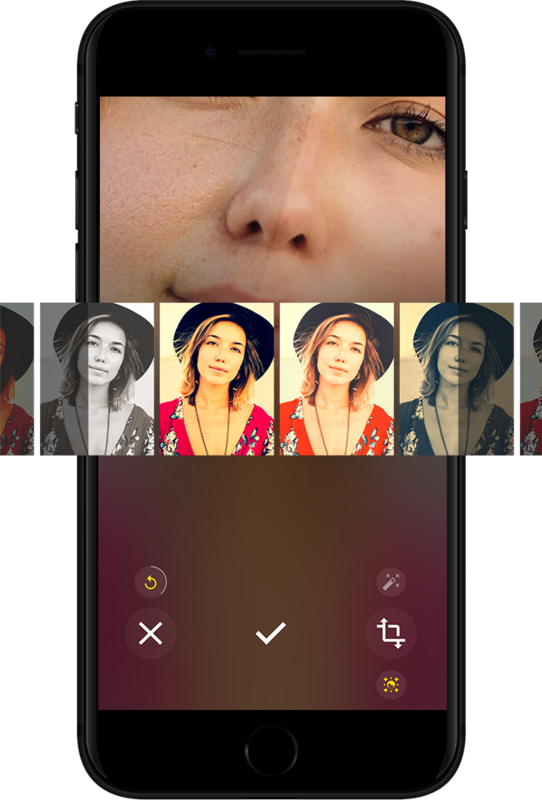 Lightsynth rethinks the capturing way to replace the manual control for a better, more simple mobile photography. Forget all the complicated settings, ISO, exposure duration or bias together with Lightsynth. For replacing traditional HDR completely, The entirely new, advanced exposure estimation technology based on intelligent evaluative algorithm will catch the best exposure combination of the current scene. You can choice three weight mode, Balance, Highlight, and Shadow-Weighted metering mode. It means you can select the priority of each area that has different brightness. For example, If you want to take best selfies under the bright sun, choose the "Shadow-Weighted Metering" mode. The smart autopilot mode allows to automatically capture you or it suggests the best photographing timing in the difficult situations for taking pictures. Just tap the button if Lightsynth displays a message "Ready To Shoot" along with the blinking yellow shooting button. Allows you can naturally beautify your skin or a variety of material textures without losing its original sharpness, also offered 30 hand-designed premium filters are free forever, and it will be newly updated more.